Blair and Bryan came to us with just a couple elements that were important to them to incorporate into their wedding invitations. They love the colors navy and orange and they think maps are cool. They didn't want anything too traditional feeling, so we picked out one of our favorite stocks from French Paper and got to work. 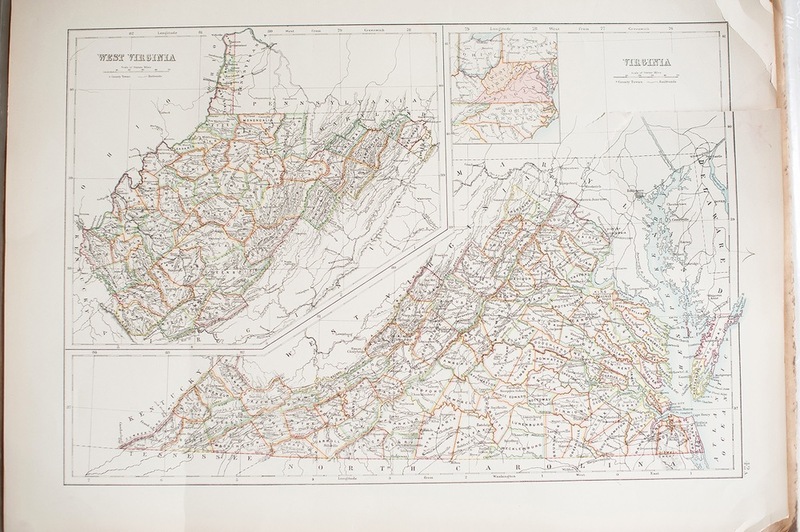 We think maps are pretty cool too and Brian had recently picked up a vintage Virginia map from an antique shop in Maine. Got the colors. Got the map. Boom. Printing the map in a darker navy tone for the background made everyone involved over the moon. A crisp white and pop of orange were the cherries on top!